Exciting news, ya’ll! One of our amazing vendors, Devin Culpepper, was recently featured in Voyage Dallas. The Culpeppers are long-time vendors with A Touch of Rust Vintage Market, and “Peppers Repurposed” is always a busy place during the events. Recently Devin decided to bring her leather creations and setup as well. We’re so glad she did! Below is a reprint of the Voyage Dallas article. Enjoy! Today we’d like to introduce you to Devin Culpepper. In 2014, I had the opportunity to spend some time with and learn from my friends at Whispers Beaded Tack. They make some truly beautiful, useable pieces of leather art. Leatherwork has interested me for many years, and when I had the chance to learn from artisans that I admired, I went for it. After a few late night lessons, I was hooked. I knew some of my family had dabbled in the craft so I went to my Granni’s, dug through some of my uncle’s old things, and found his leather tooling stamps and mallet. With these few tools, I continued to practice on my own only made a few gifts for my friends and family. One of those gifts was a wallet for my now husband, Ryan. I didn’t have a pattern, but I had been studying photos of other wallet styles and knew I could make it work. Ryan has been carrying it every day for nearly four years now, and it still looks great. I was incredibly proud of that little gift, and the same design is my most popular wallet style. Fast forward to 2016, Ryan encouraged me to step up my leatherwork hobby and offer it to the public. I made up a few bracelets and posted them to my personal Facebook page. I didn’t sell out instantly or anything, but I sold most of the bracelets and received orders for a few more. It was then, July 2016, that Culpepper Leather was born. In 2016, 2017, and a large portion of 2018 I produced almost 100% custom orders. 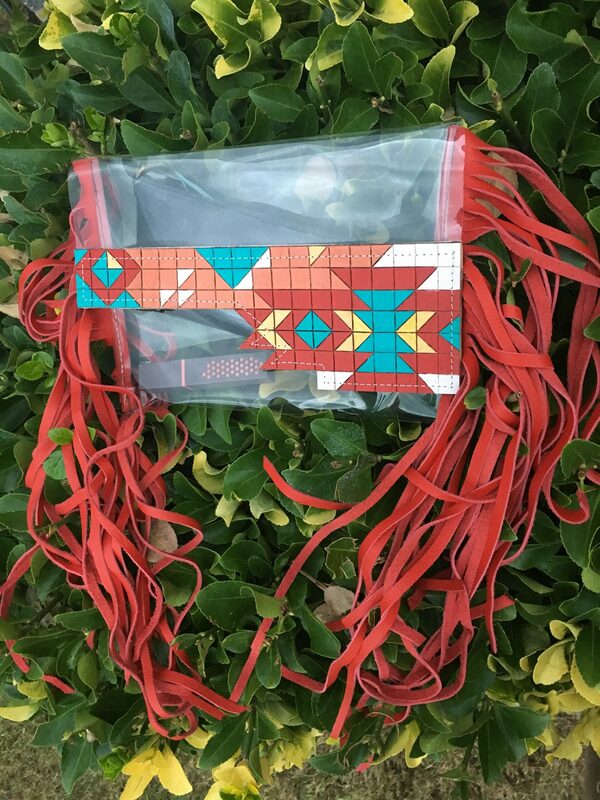 In 2018, Red Horse Boutique in Willow Park, Texas started carrying a select stock of Culpepper Leather items. To date, I have not expanded my social media presence but continue to organically grow a customer base. Culpepper Leather is something that I am pursuing on the evenings and weekends. This schedule can make keeping up with demand difficult for me, but I have the best customers. I can’t thank them enough for trusting me to bring their designs to life. Outside of the normal learning curve issues, it hasn’t been too bad. I do feel like my biggest struggle to date is the shift from hobby to business. I am teetering on that line and trying to get my head, schedule, and bookkeeping in true “business” order is proving difficult for me. Culpepper Leather – what should we know? What do you guys do best? What sets you apart from the competition? 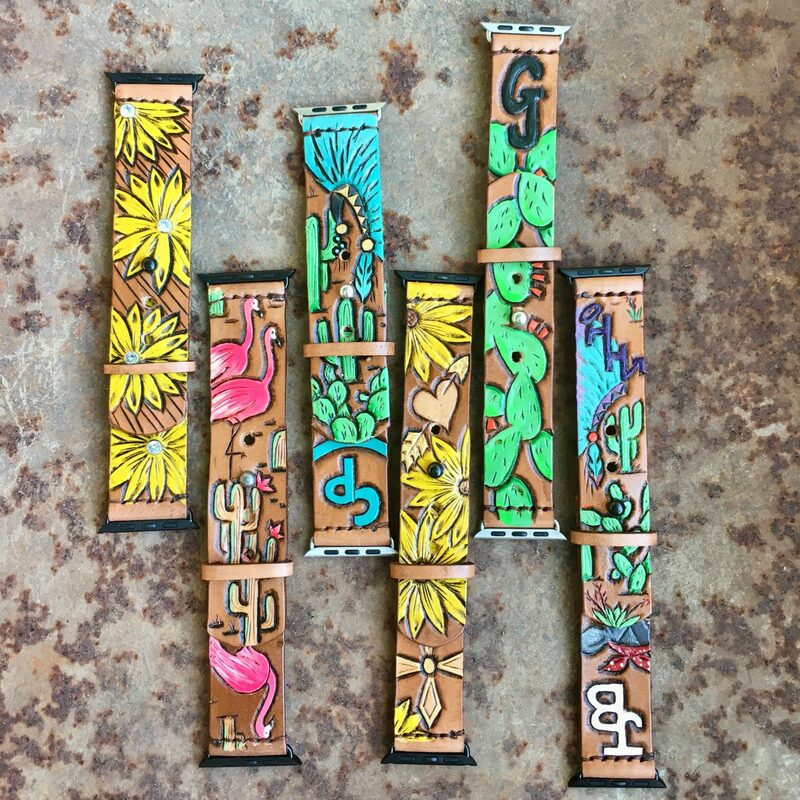 Culpepper Leather offers some ready-made items but specializes in custom, handcrafted leather goods. 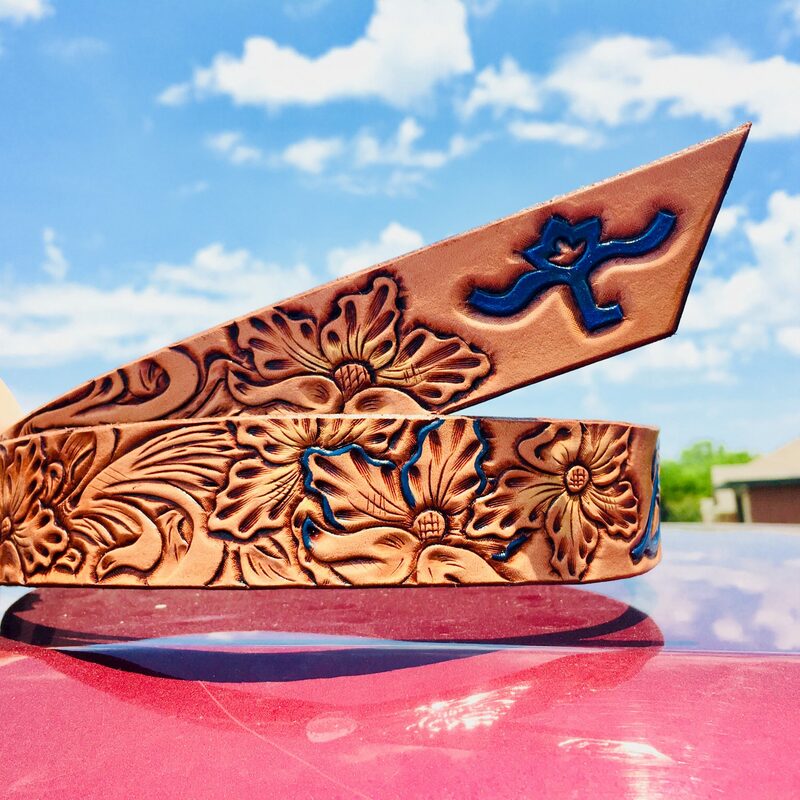 Custom orders have included belts, wallets, bracelets, purses, even show halters for horses and cattle and smartwatch bands. The experience of designing something for yourself or someone you love is one that no retail or overnight ship option can give. From the endless options of style, colors, and size to the added personalization of initials, brands, or messages, these pieces can be treasured for years and even passed down through generations. I am proud to say that every item is handcrafted using as many American made products as I can, all while giving back to the community with every dollar you spend. 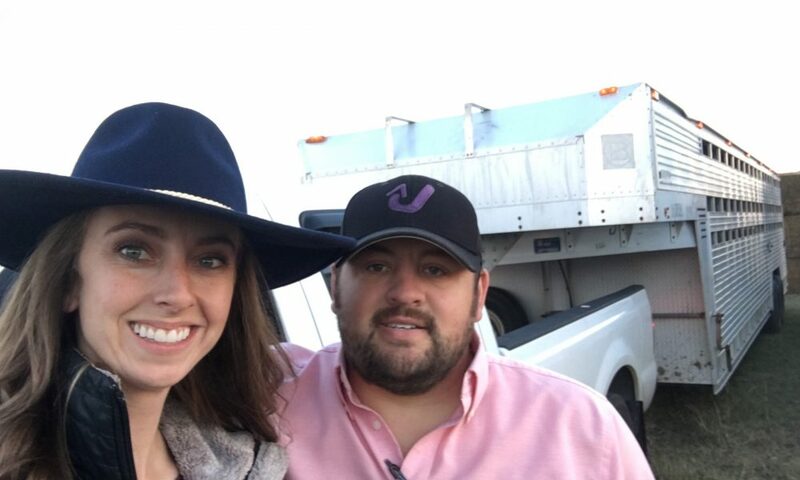 Culpepper Leather is run primarily by myself from my home and the passenger side of a pickup while Ryan and I travel for our LLC, Culpepper Ag Services. Ryan and my family step-in to help me in special circumstances and I couldn’t do it without them. I have had several moments where I was really proud of my business, but in all honesty, I am the most proud of my work when I see people using it. I hope I never lose the feeling of excitement and fulfillment I have when I see a show halter I made in the show ring, a wallet or purse holding someone’s personal items, or a bracelet being worn. It’s the smallest thing, but it brings me the most joy.